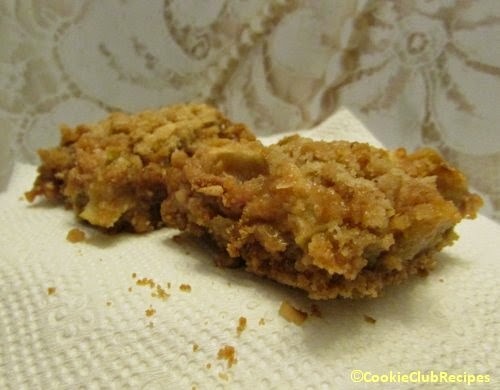 If you like caramel apples you will love these cookie bars! I will break the directions down into steps and give you several tips along the way to help make this an easy process. If serving for a holiday dinner or party, plan on two bars per person. They are too delicious to eat just one. Preheat oven to 400 degrees, or you can wait until you're closer to baking time. 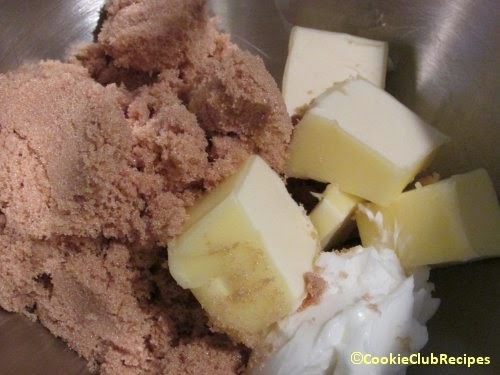 In a mixing bowl, blend together sugar, butter and shortening. 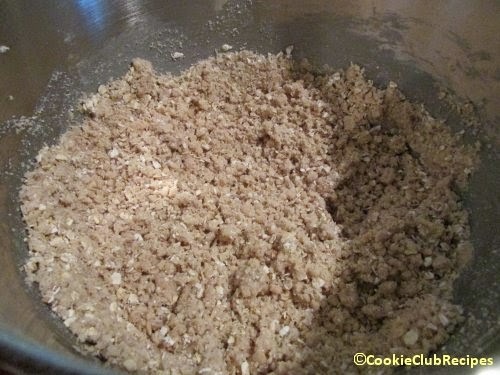 In a separate bowl, mix together 1 3/4 c. flour, oats, salt and baking soda. Add to butter mixture 1/3 at a time, blending well. Reserve 2 c. of combined mixture into a small bowl and set aside. 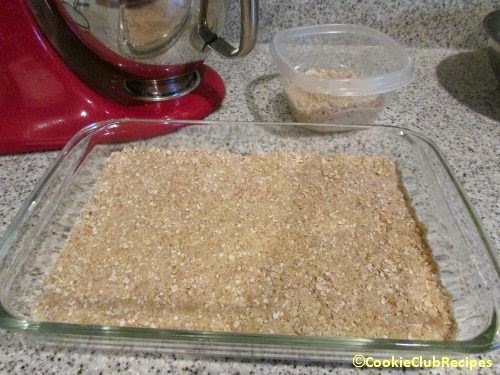 Press the larger amount of oat mixture into an ungreased 9x13-inch pan. 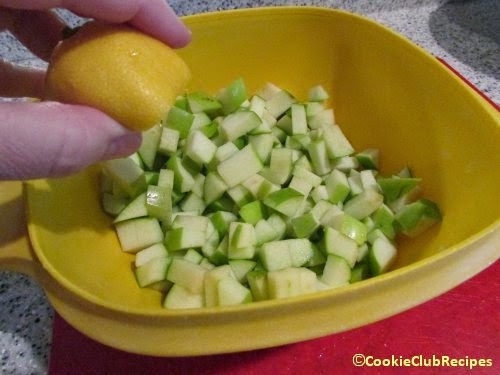 Chop apples, peeled or unpeeled. 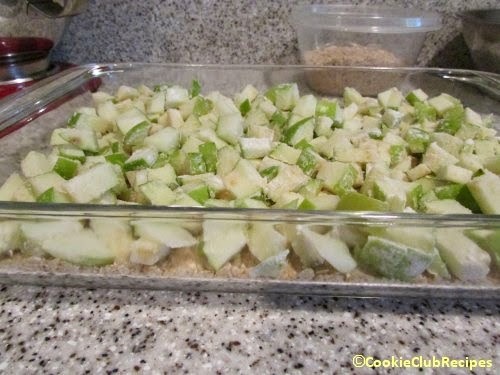 Note: I chopped the apples earlier so I sprinkled them with lemon juice to prevent browning. 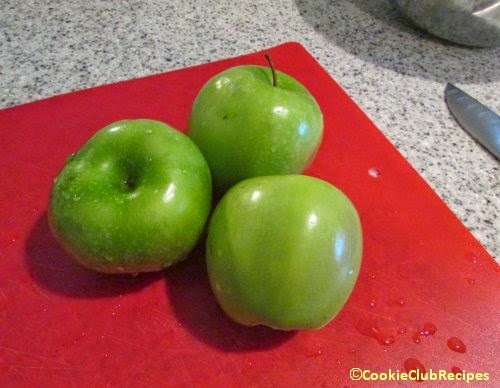 I also chose to wash them well and NOT peel them because 2/3 of an apple's fiber is in it's peel. 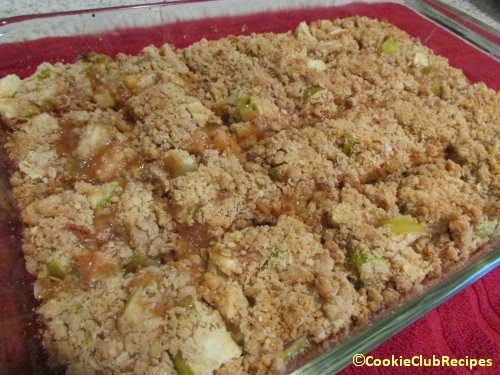 Toss apples and 3 T. flour; spread over mixture in pan. Heat caramels over medium-low heat until melted, stirring as needed. Or, melt caramel in the microwave (see "The Best Way to Melt Caramel Candies" below). As soon as caramels are melted and smooth, IMMEDIATELY drizzle evenly over apple layer. Do not pour, but drizzle. If you pour the caramel out too fast, it will be heavier wherever you pour it and there will not be enough to cover all the apples. The caramel rehardens quickly so spreading it out after is not a good option. So, drizzle, drizzle, drizzle! The Best Way to Melt Caramel Candies: I found the best (and easiest) way to melt caramel candy is to place the unwrapped pieces in a large glass measuring cup and heat for 1 minute, then stir, heat 1 minute more, then stir, heat another 30 seconds if needed, then stir and use immediately in your recipe (see "How to Clean Melted Caramel" below). 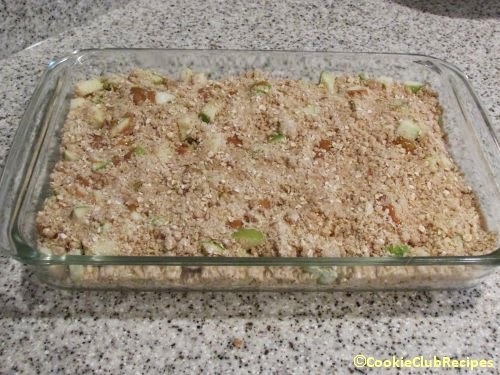 Sprinkle the caramel drizzled apples evenly with reserved oat mixture; press lightly. Bake at 400 degrees for 30 minutes or until topping is golden brown. Cut into 24 bars, while still warm. Don't worry, they are easy to cut because the caramel is completely melted when hot. If there are any left (after your holiday dinner or party), store in refrigerator. Here's a few the next day. 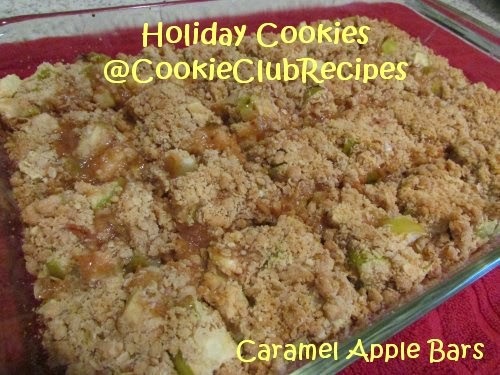 They taste like a combination of baked apple crisp and gooey caramel apples. YUM! 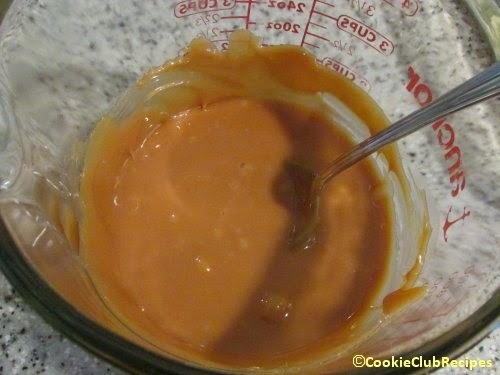 How to Clean Melted Caramel: To clean hardened caramel off measuring cup, fill with water and microwave for 2 minutes. Remove from microwave. With a spoon, scrape sides and stir. If there is still hardened caramel on the glass, microwave for 1 minute more and repeat as needed. 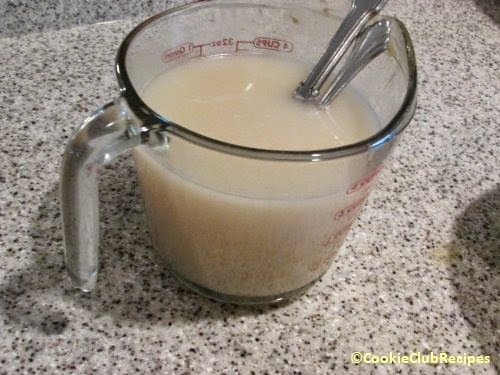 Water will quickly become cloudy as caramel dissolves and can then be poured out safely in the sink.